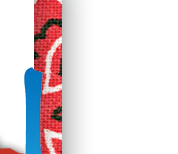 Additional Details are available on our Events Page. On February 28, 2003, Cory Duane Cross (one week shy of his 1st birthday) began the fight of his life when he was diagnosed with an extremely rare and aggressive brain cancer and was given a less than 10% chance of survival. Over the next several months, Cory bravely endured surgery, radiation, chemotherapy, stem-cell transplant, relapse and a clinical trial…and he was beating some incredible odds. On March 1, 2007, our prayers had been answered when Cory’s MRI showed no evidence of disease! 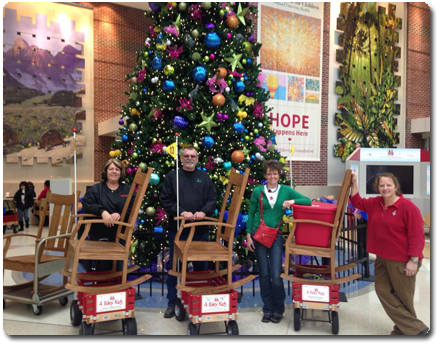 He was 2 years cancer-free and 18 months off-treatment…a significant milestone! Unfortunately, just 7 short weeks later, the monster vehemently returned in the form of a renal tumor and metastasis of the lungs. Cory began another valiant fight, but his courageous battle ended when he earned his well-deserved angel wings on July 28, 2007. Cory was a miraculous little boy with an amazing spirit and love for life. Cory’s infectious smile and laugh, his bright, expressive eyes, and selfless personality easily won the hearts and friendship of everyone he met during his remarkable journey on earth. Cory will be forever missed by his loving family and friends! 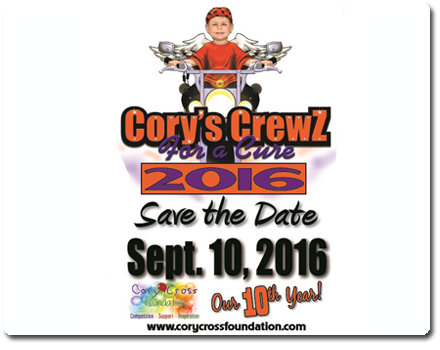 Founded in 2010, the Cory Cross Foundation is a non-profit [501(c)3] dedicated to compassionately providing financial and emotional support to families with children fighting cancer. 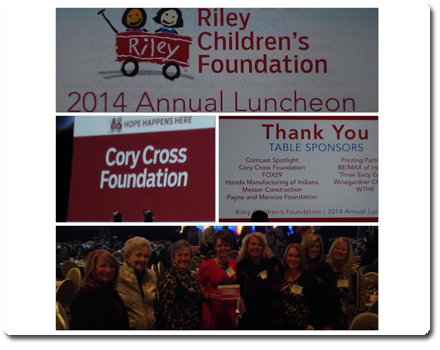 In addition, CCF also supports Riley Hospital for Children, organizations dedicated to childhood cancer research and local programs supporting youth. Our inspiration comes from Cory and the family, friends and even strangers that provided the same type of support to Cory and his family during his courageous 4 1/2 year battle. VIEW THE CCF VIDEO. 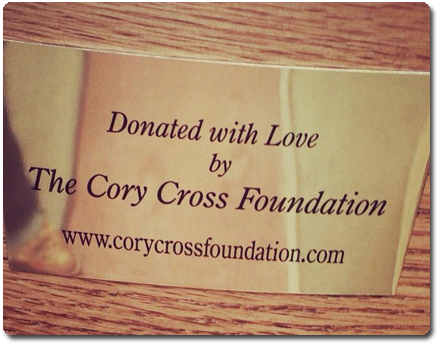 Donate Now to the Cory Cross Foundation! Our PayPal button is easy and secure, and we thank you for your support.